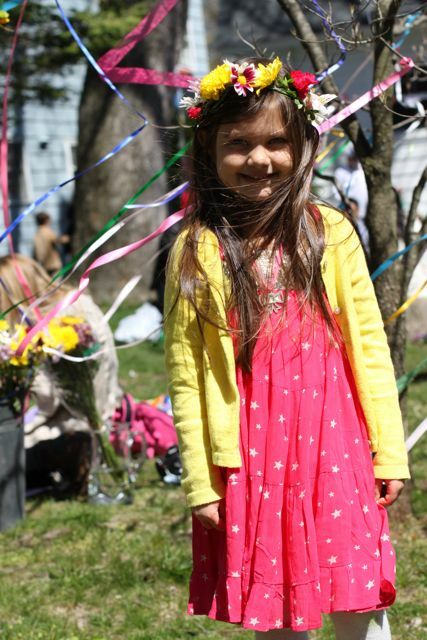 This time last week we were celebrating Spring with an Easter party. 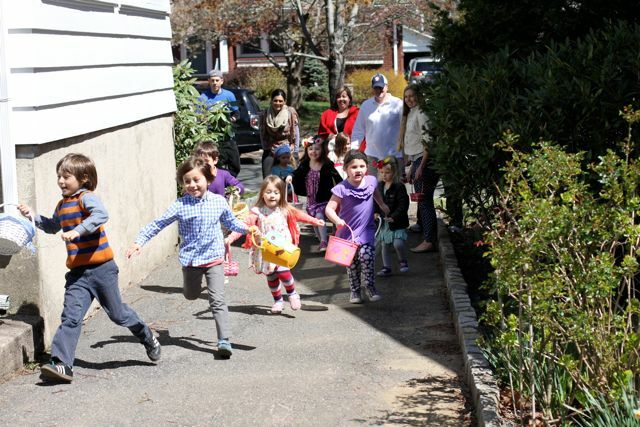 I invited the families in our street with small children and some of our friends. 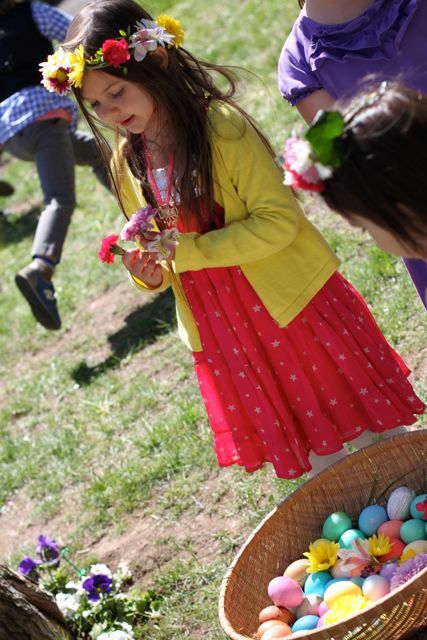 We could not have asked for a nicer day, the sun shone brightly, and our Easter party was lovely in so many ways. 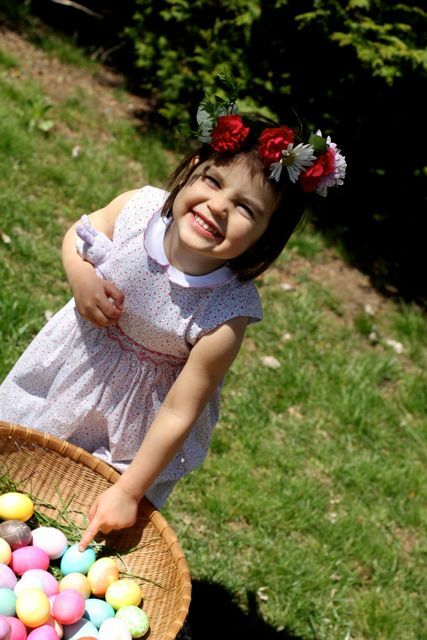 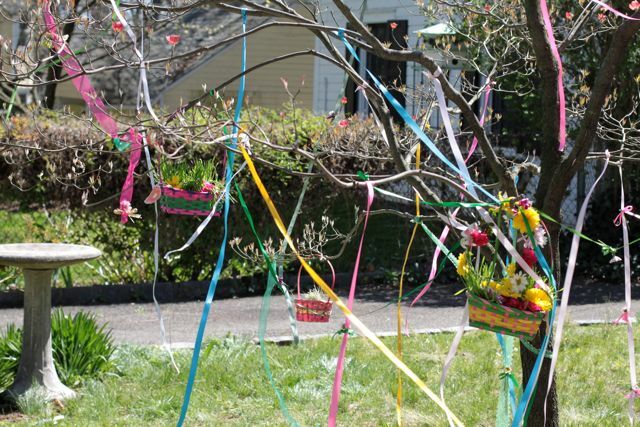 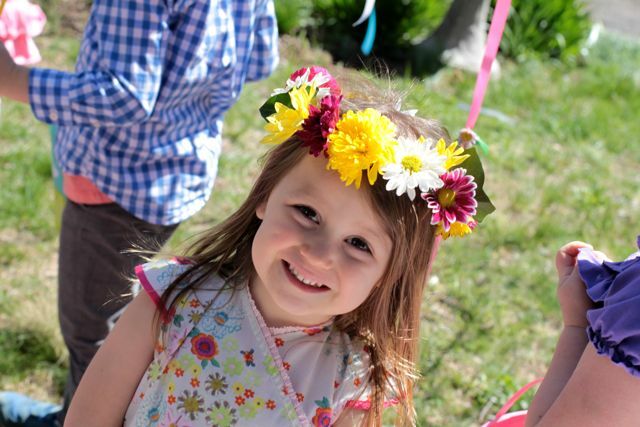 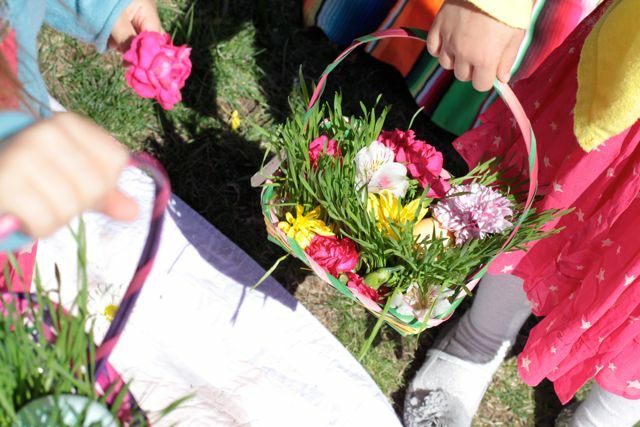 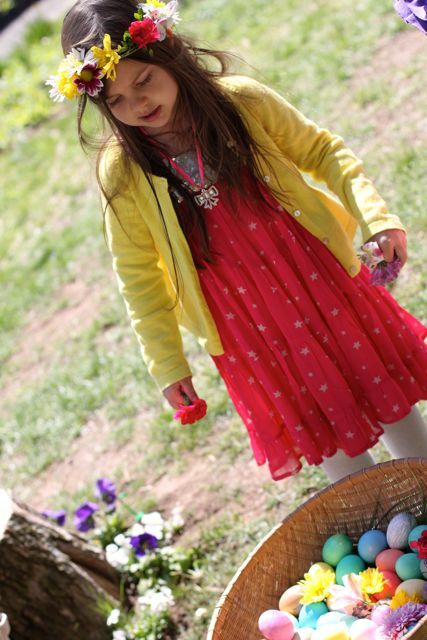 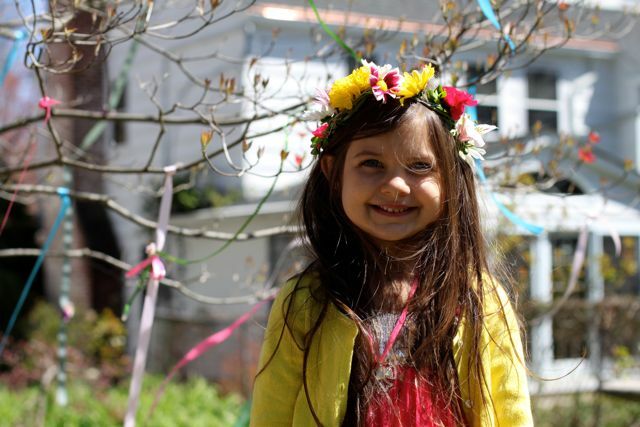 I decorated the dogwood tree in our back yard with ribbons and flowers, we made fresh flower crown wreaths, and many brought dyed eggs, filling the giant basket for the egg hunt. 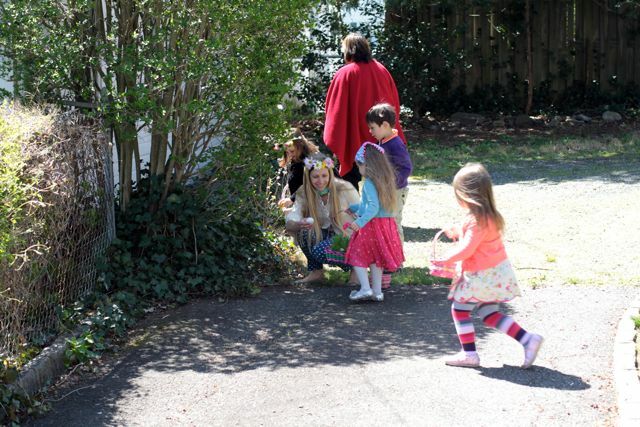 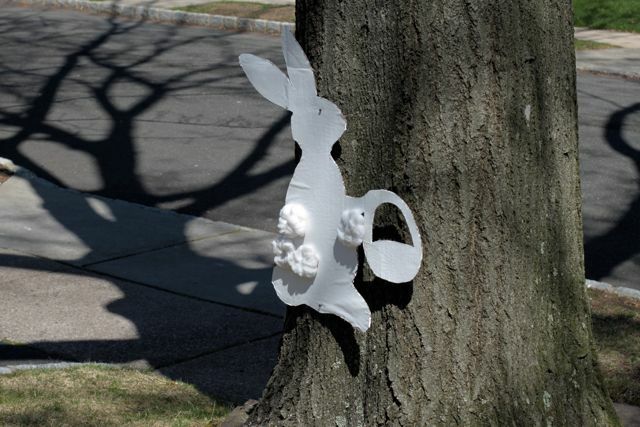 We played pin the tail on the bunny, and had an egg and spoon relay race with both parents and children. 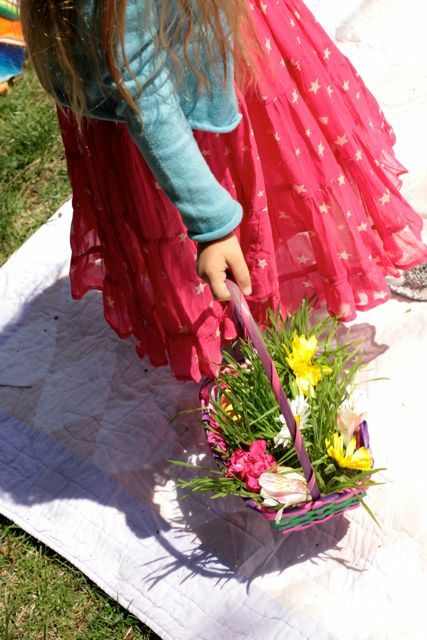 We played duck duck goose, and enjoyed a small feast of great home made food. 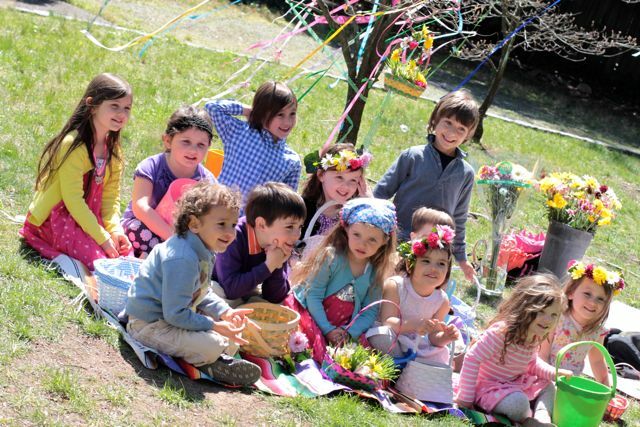 The children had a blast, and all looked so adorable. 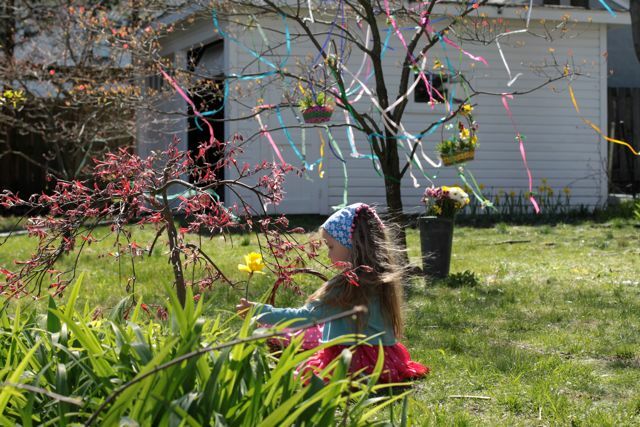 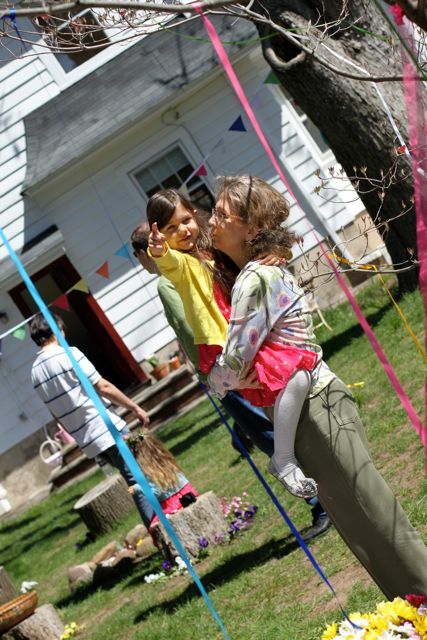 It was exciting for our family to host a Spring celebration, it made me feel content and settled. 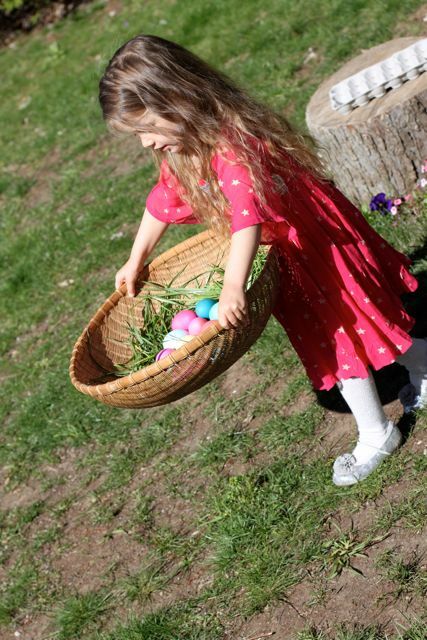 Growing up my family would gather to celebrate Easter and I have fond memories of Easter being a lot of fun. 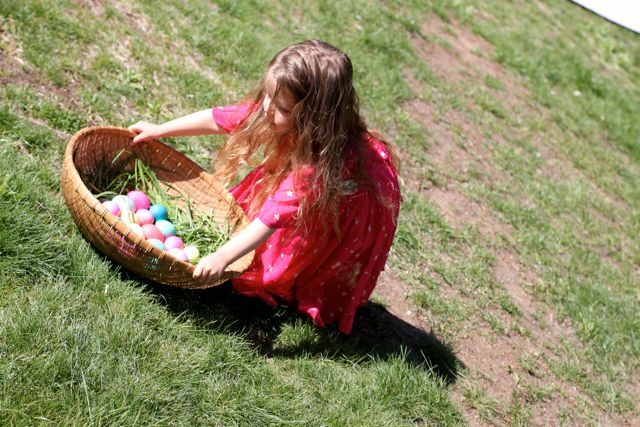 Grandma would dye eggs for an egg hunt, and make chocolate bunnies for each of her children. 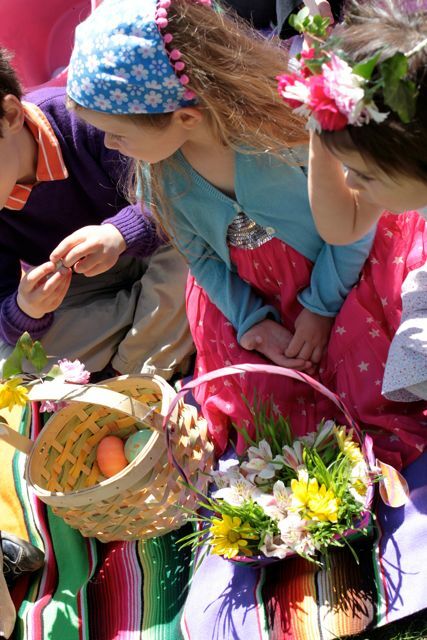 The fireplace seat in the family room would have a long line of Easter baskets that would magically be filled on Easter morning with goodies. 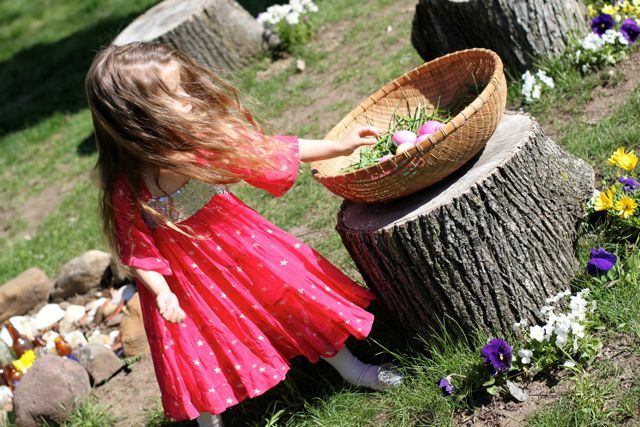 We would wear our best clothes, have a large elaborate meal and play games. 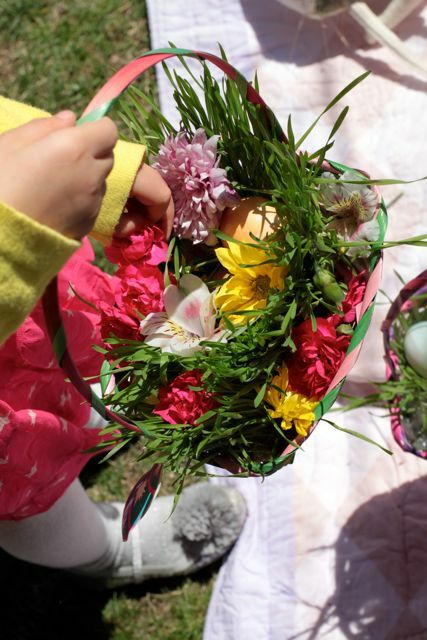 With our family now on the other side of the world, more often than not during holiday times we are unable to be with them. 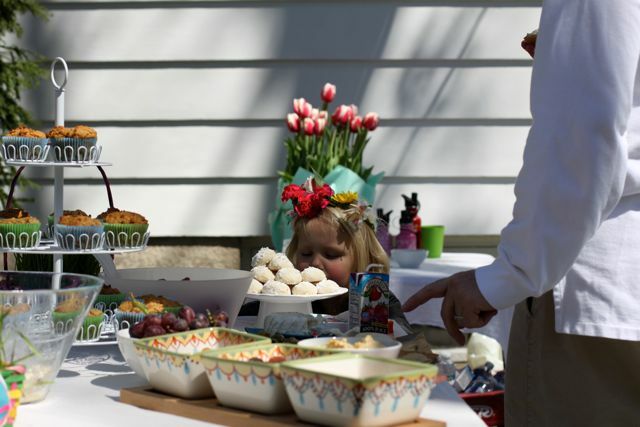 Non the less I hoped to make Easter into a special occasion for our children, and a party with friends was a great way to make it memorable. 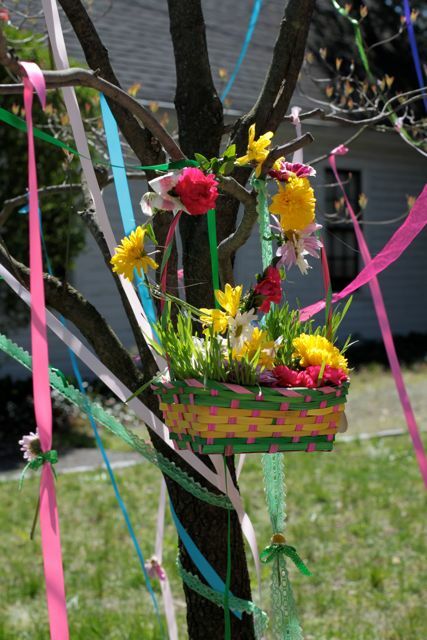 I wanted it to be symbolic of Spring, to be colourful and lively, and I wanted to share it with people we care about. 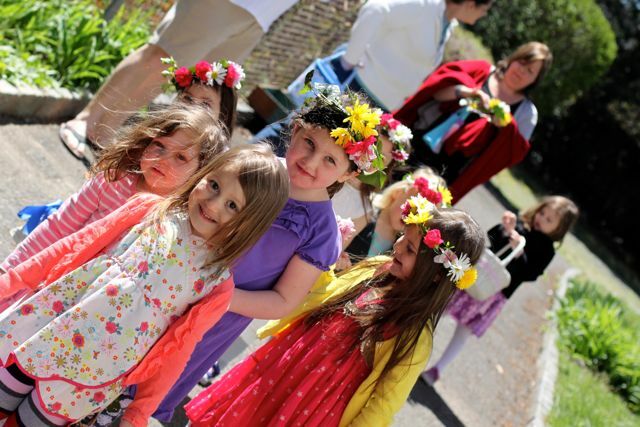 It will be great to look back at these photos in years to come. 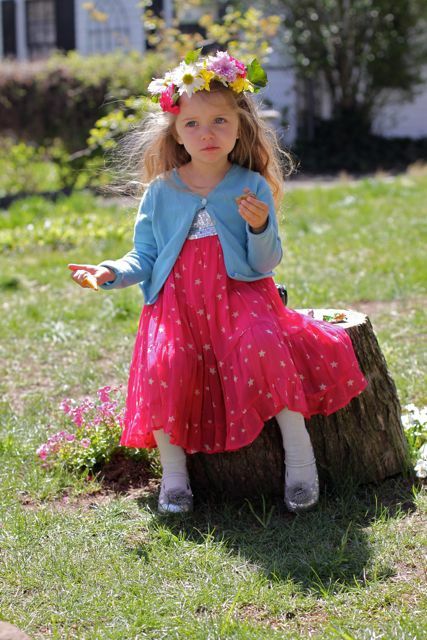 We feel lucky to be living in a street with so many little ones, always right there ready and able to play! 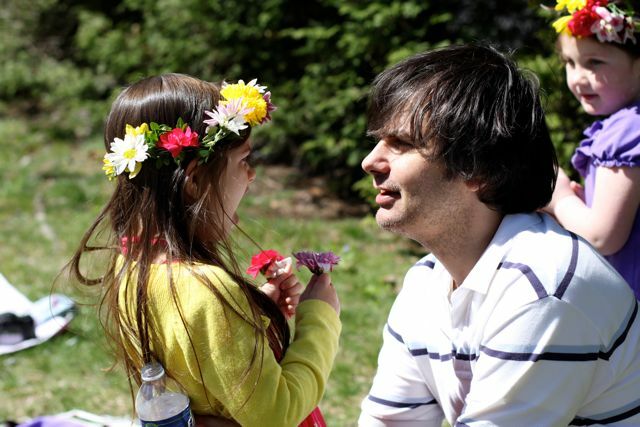 I am grateful especially to our neighbour Nina who was a tremendous help setting up…and to my husband who made this party possible…and to my daughters who are a continual source of inspiration. 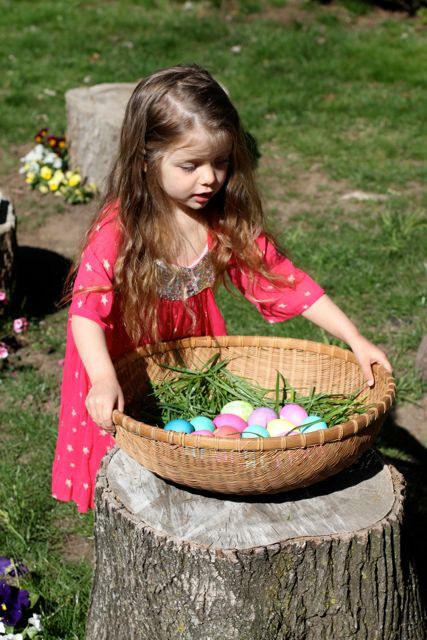 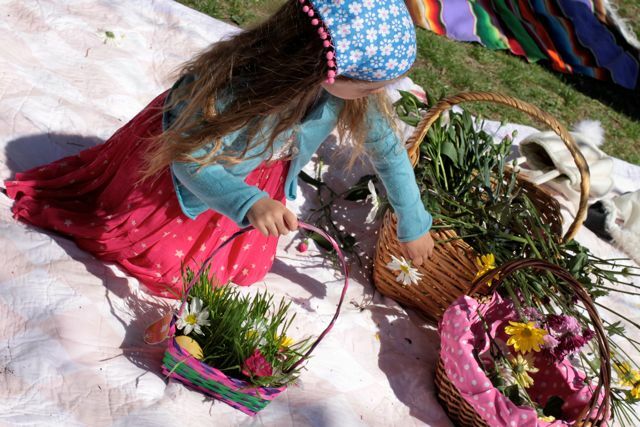 I just loved it when Maya filled her wheat grass basket with flowers and hung it on the tree…Elle then had to do it too. 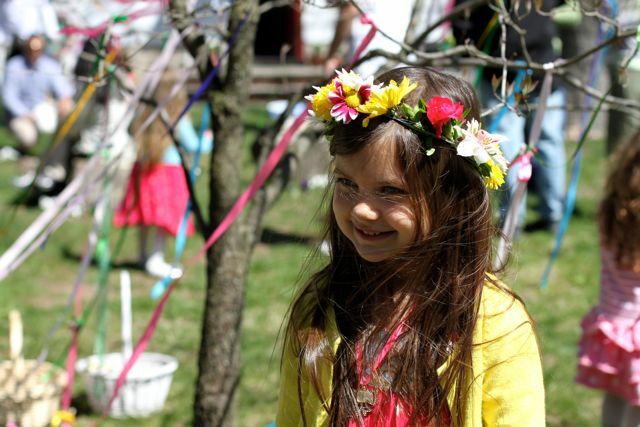 Our creative girls…always making beautiful things. 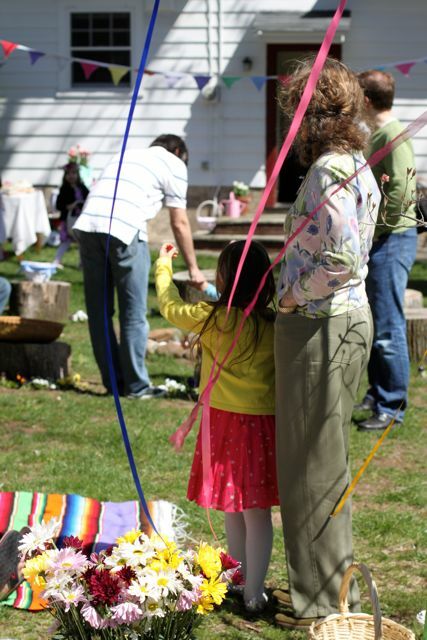 Our day wound down, bit by bit neighbours left, and then friends, until it was just us, sitting in the yard. 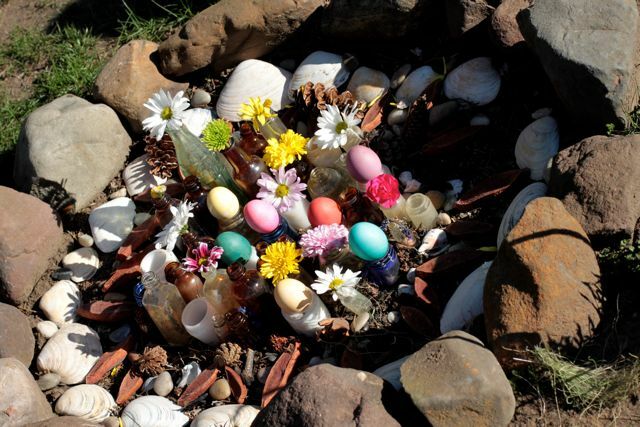 The girls building fairy houses out of shells, pebbles and the left over flowers…and I, sitting still…in that special quiet space after a party where I get the reward of a resonating heartfelt feeling…from a wonderful celebration. 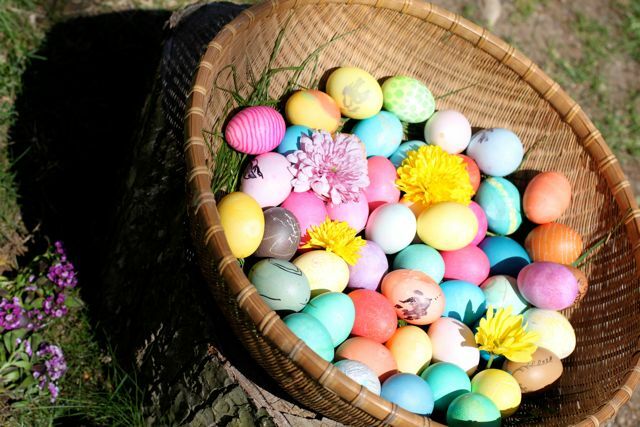 This entry was posted in C E L E B R A T E, C R E A T E and tagged easter, party, spring.